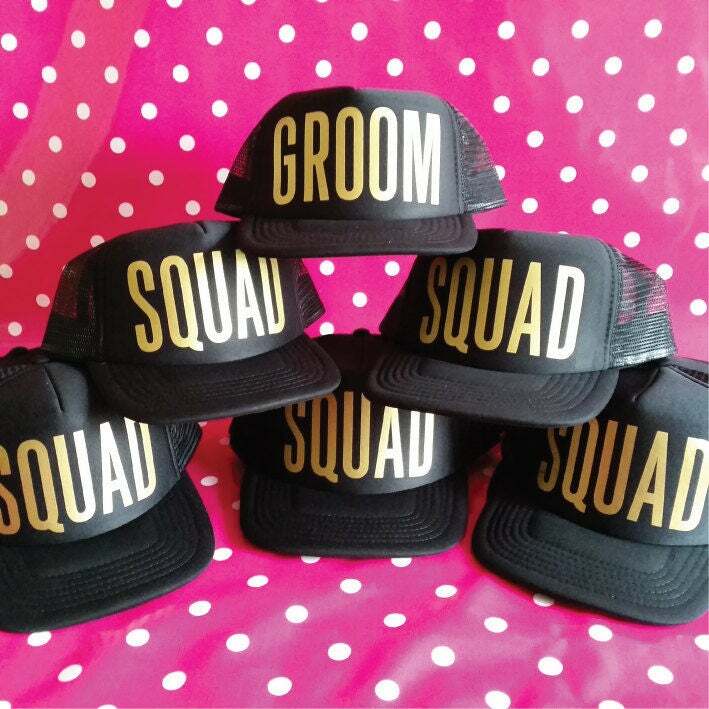 Set of 16 Bachelor Party Hats / Stag Party Hats. 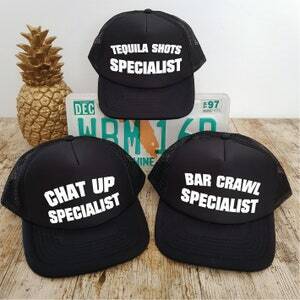 Black Trucker Hats for your Stag Do or Bachelor Weekend. 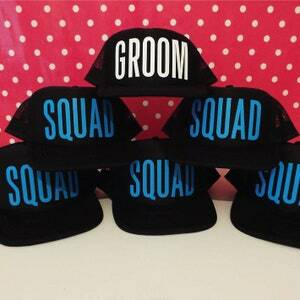 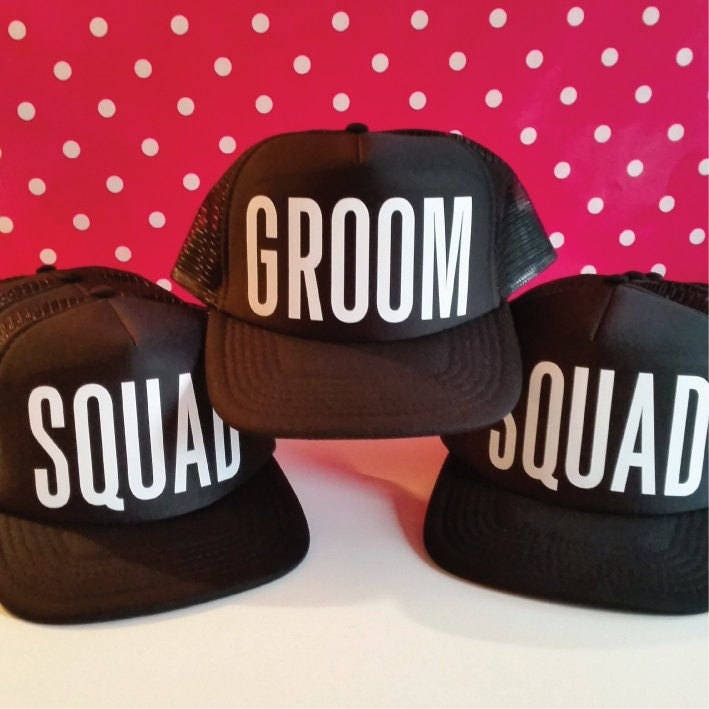 These Groom Party Hats also make a lovely Groomsman Gift, Groom Gift or Best Man Gift. 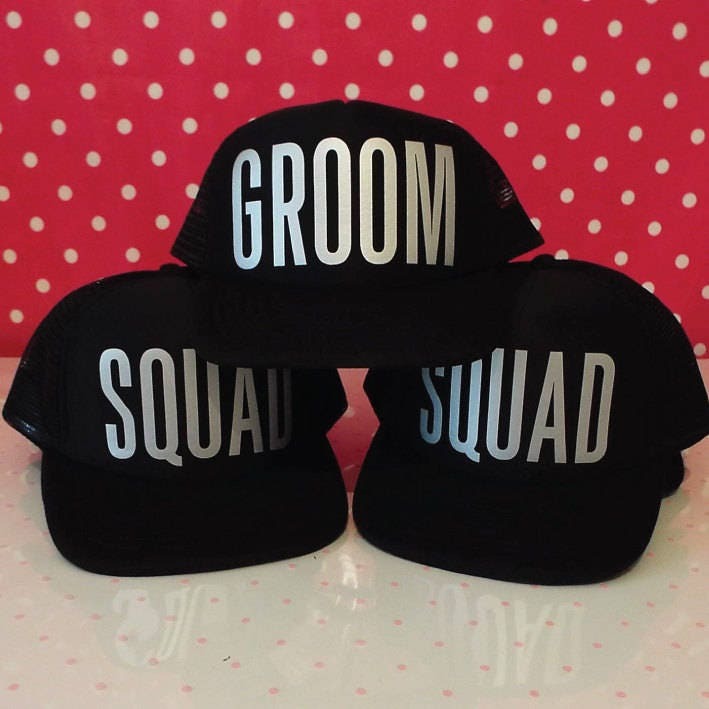 Get one for all members of the Groom's Team. 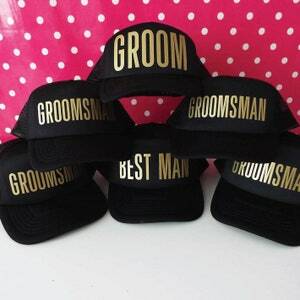 Choice of Print Colours - see Drop Down Menu - don't see what you want, please get in touch, perhaps we can help. 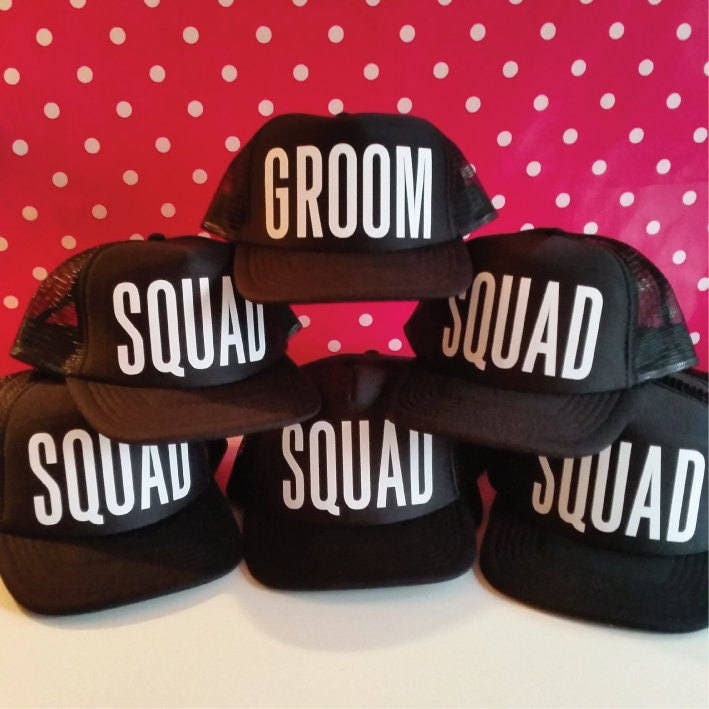 This set consists of 15 Squad Hats and 1 Groom Hat. 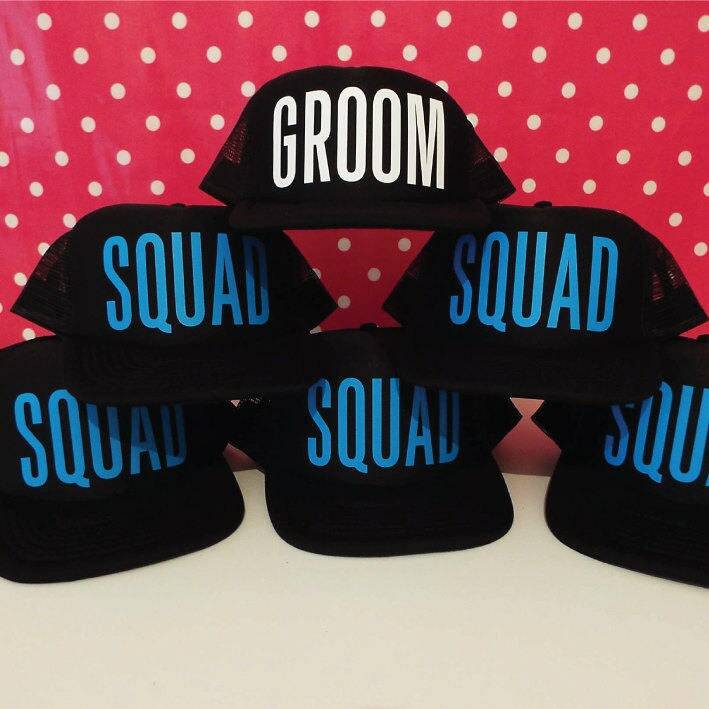 If you require 16 Squad Hats (no Groom Hat), please send us a Convo or state this in the Notes to Seller Box during checkout.